A home weather station will be supplied with various components whenever you buy them. These components are important in terms of the whole functioning of the weather station. Depending on the types of sensors, they can be mounted outdoors or indoors for better accuracy. The mounting options arise from the sensor needs as directed by the manufacturer. 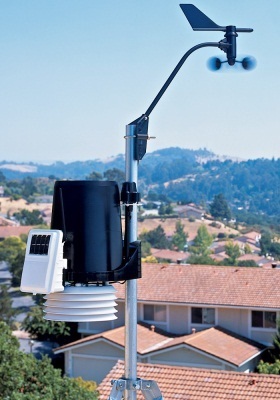 Below are some of the best weather station mounting ideas. This is for people who have a lot of land in the rural sites and they want to monitor the different weather conditions. You will be in a position to do so with a simple tripod for mounting the equipment on the grass. You do not want the equipment to be in direct contact with grass for splashing reasons. The mounting tripod or a pole could be used to elevate the sensors off the ground. This type of mounting does not require too much labor to get the job done. This part it could be a ground floor or roof top made of concrete. As you can see, penetrating the concrete will be out of option. You will need something that will hold the sensor in position without messing with the floor. You still have to make sure that there are no obstructions in the area to keep it from having inaccurate readings. The non-penetrating mounts you get for weather stations in this case will have a heavier base to keep it from falling. Troubleshooting should be easy, as you can move the mount easily to where it is required. If you have less space and you are wondering where to mount weather station, then this could be just your solution. The pitched roofs are used when you live in placed with lots of obstructions. The pitched roof will act as the highest point of the area to give you better readings with weather station sensors. This time round you will have to screw the weather station mounts into the tar pads. Once it is mounted, you should have an easier time getting all the readings you. 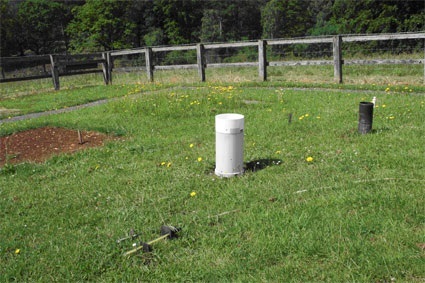 In this case, the mounted weather stations is not prone to easy theft as compared to mounting on concrete floors. The eave can be seen as the best place to mount home weather stations. Well, an eave is an overhang between the roof and the wall. Most of the time this place would be great as it provides the cover most weather station sensors need today. With the correct mounting, you will never have to worry about incorrect reading for the outdoor conditions. The weather stations with low transmission distance could also benefit from using such type of mounting. The best part is that the eave could be great for the sensitive sensors from different weather conditions. 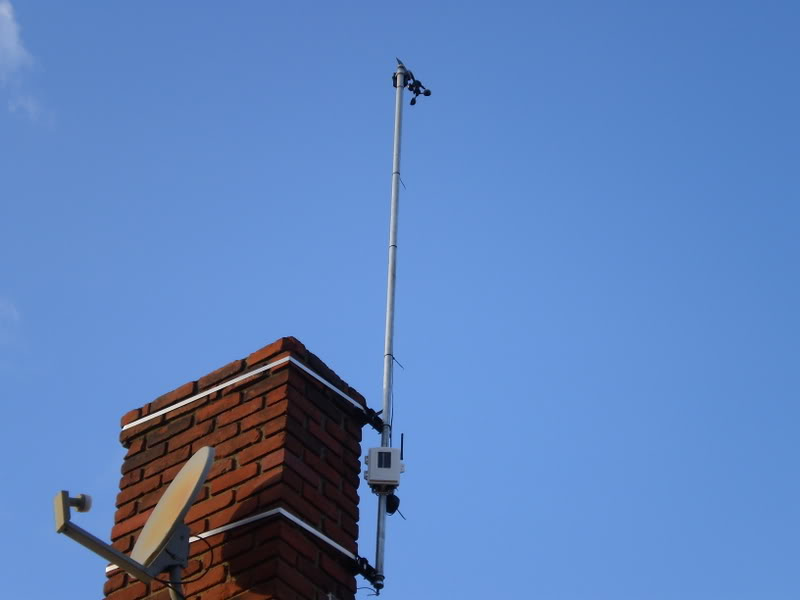 If you are still having the question of where is the best place to mount a weather station, then the chimney could be the best solution. We all know that sometimes you will not have a pitched roof and the chimney will always be the tall point of the building. 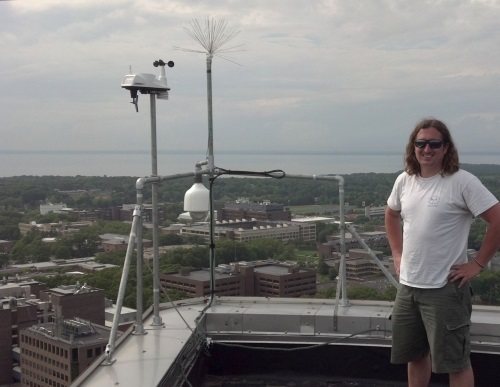 Whenever you get to mount the weather station sensors up there, they will be free from obstructions. No one would easily tamper with your weather station sensors as they will be mounted far from anyone’s reach. The common issue with this method will be the amount of heat coming from the chimney. If you do not mount the sensors on a pole first, then the heat will cause it to have incorrect readings. Maintenance could be an issue as the sensors are mounted at a high point. In most urban areas, you will get that the building rooftops will have many TV or radio antennas. The antenna will be mounted on a mast high enough to get a better reception. With a weather station mast, you can add it to the TV antenna mast. Just like that you have found a great place where to mount weather station sensors. No extra space or drilling is needed for this type of mounting. 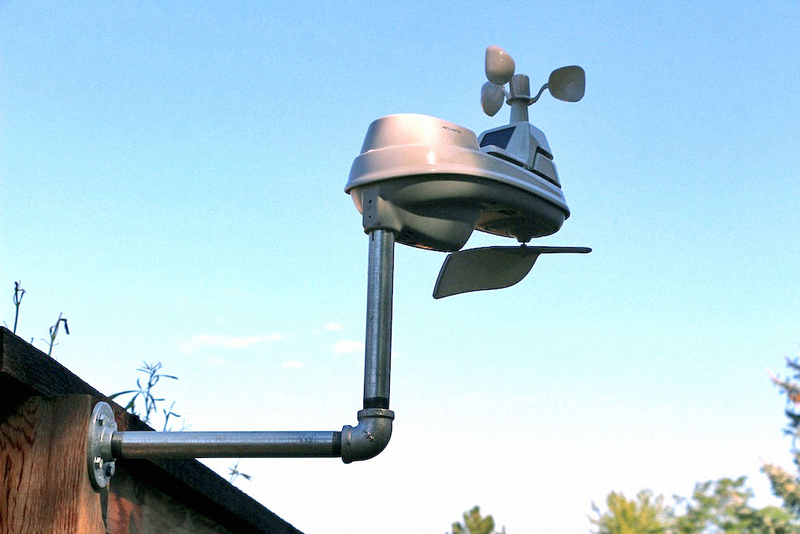 As you can see, there is various weather station mounting ideas available. If you previously only knew about three, now you know more. The key lies in choosing the right mounting method for your scenario. Hi there! I like your concept and plan to utilize a slightly modified version of it. The only actual difference is using a vertical pole with a length of 6 feet as opposed to the one footer I assume you used. My concern however is the weight of these poles and stress when applying them to a flange. In my case, the flange will be screwed into a composite block on the side of my composite deck floor. My plan is having the flange screws penetrate the 4×4 wood support an inch or so beyond the composite base. Given my circumstances do you think the pole setup will create too much stress on the board and wood support of my deck? The steel flange and two poles are quite heavy. Would you suggest an equal one-foot vertical pole to match the one foot horizontal directly threaded into the flange? The reason I wanted to go with the 6-foot vertical pole is getting a relatively accurate wind speed reading(I own model 1517 5 in 1 sensor). Doing so will result in a height of 11-12 feet off the ground as opposed to 7-8 feet using the 1 footer. Though my son-in-law will do the mounting, between my old age and life long inability to hammer a nail into the wall I at least want to lay out a viable plan for him and not eventually damage my deck. Lastly (I almost forgot) for safety sake (electrical storm) is it necessary for this mounting to be grounded? Does that complicate my plan? Any suggestions you provide will be greatly appreciated. I am very happy that you feel that my article is useful. 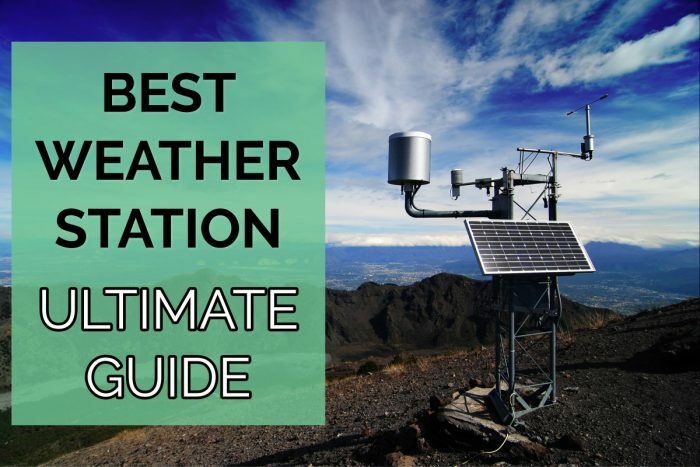 My article is the collection of the most common and accurate method of mounting weather station. Depending on the circumstances, you may need to have small customizations to bring accuracy and fit your mounting site. In your case, I think you should calculate the pressure and choose a reasonable height for the weather gauge. Reduce height of weather station can possible to make the measurement of wind speed and direction reduced accuracy, but it will ensure your machine is safe. 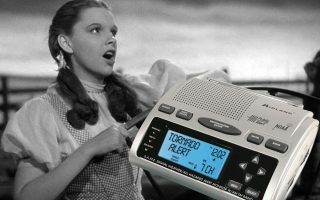 Also, you may consider doing the grounding if your area is frequently thunderstorms. Owen! I Thank you for your attention and response. Given my concern and specific circumstances regarding any stress my plan (6 Foot steel vertical pole vs 1 foot) may cause what small customizations are you referring to. Any ideas? I’d prefer raising the sensor as high as possible while able to reach and maintain it yet allowing any stress be tolerable. Hopefully this doesn’t come across as a stupid question but I’ll ask it anyway. How do I ‘calculate’ the pressure (I assume you are referring to the stress factor of the heavy steel poles applied to my composite base and 4×4 wood just beyond)involved in my plan? When you say calculate do you actually mean decide based on mere observation? Am I overthinking this? The last thing I want to be is a pain in the arse,but I do want to do this done the right way(weight balance not top heavy stress on the overall deck/enough height to allow wind accuracy). If you could elaborate on your small customization as it relates to my situation I’d greatly appreciate it. I realize its a bit difficult to size up my situation without actually seeing it. Hopefully I’ve explained it enough to give you somewhat of a vision. Thanks again Owen. I look forward to your elaboration and any further suggestions on your part. Need advice on mounting weather station on a pole attached to a round fence post. What type of bracket is available to adjust to the curve of the round post so the metal pole is firmly bracketed? LBD! I’d love to help ya but you’re asking the wrong guy. Owen would be the guy to address. I also have a standing pole about 6′ off the ground that was part of a dryer line secured into cement with a circumference of 3″ or so. Since the sensor requires a 3/4″ opening, in addition to using my deck for support, I’m considering bracketing a 6′ pole with a 3/4″ opening to the dryer pole so I can fit the sensor. Height for the best possible wind measurement is important so I plan to raise the new 3/4″ pole bracketed to the existing one approximately 3′ off the ground to achieve a height of 9′ . With your situation I’d suggest you take measurements of your post curve and do the same as I. Go to Lowe’s,Home Depot or your local hardware store, present your situation,and they should be able to supply you with the appropriate bracket. Frankly I wish I had your option. I would suggest you raise the sensor as high it it can go while still being able to reach it for maintenance(Battery Change etc.). Good luck and enjoy your weather station.